It is really mad to think that there is only this month and next month where it is only going to be the two of them. In July their little brother will be joining them and I am super excited to get that first sibling photo, which will probably be taken in the hospital when they visit him for the first time. This month has been full of ups and downs but I do like to concentrate mostly on the ups! It's better that way isn't it. Elliw has changed so much the past few weeks. She loves pretending she is a teacher and she does it pretty well, if I say so myself! She is really coming along with her speech and we are so proud of her. She still has her bad tempers which happen daily but we are just hoping that will soon stop as she grows older. Mia's also changed a lot the past few weeks. She still loves playing by herself and doing her own thing. She also still loves her writing and I have noticed she doesn't play teachers as often as she did but still now and then. She loves playing with her toy figures and play pretending of TV characters. She can also be quite a bit of a bossy boots but I am sure that is her age and all children love being boss! I haven't managed to take many photos of them this month, just the one before we went out to celebrate my partners aunty and uncle's wedding anniversary. I really do need to get my camera out more often before baby boy arrives. I want to capture as many things as I can. We are still planning to do a few things with the girls before baby boy arrives. 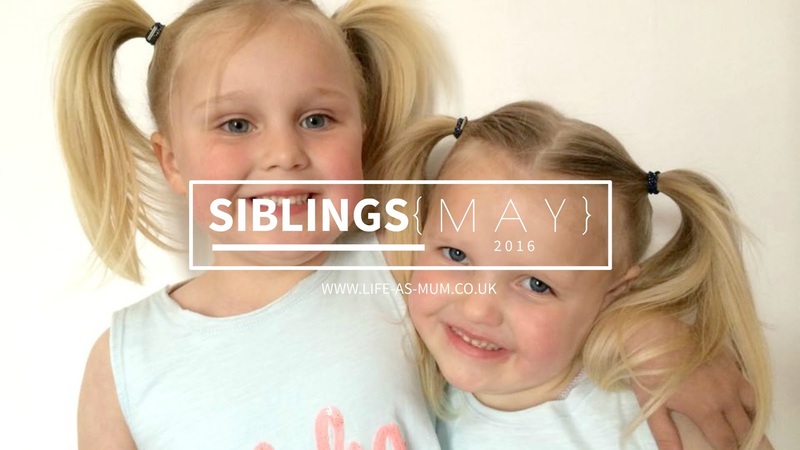 Hopefully next month I will have had more photos and it's going to be really strange to write my last sibling photo just about the girls before baby boy arrives in July.